A Fine Gael minister has called on Sinn Féin MPs to resign their seats in Westminster and support non-abstentionist candidates in the subsequent by-elections. Junior Finance Minister Michael D’Arcy said Sinn Féin should back “agreed Remain candidates” who would vote for a soft Brexit once elected in the by-elections. “Those successful agreed Remain candidates would do their duty, take their seats in Westminster and ultimately vote down a hard Brexit should such a proposal come before the House of Commons,” Mr D’Arcy said. “This is a tangible way for Sinn Féin to make a real contribution to Ireland’s Brexit challenge, without compromising on abstentionism. In this way, they could do more for politics than ever before,” he added. 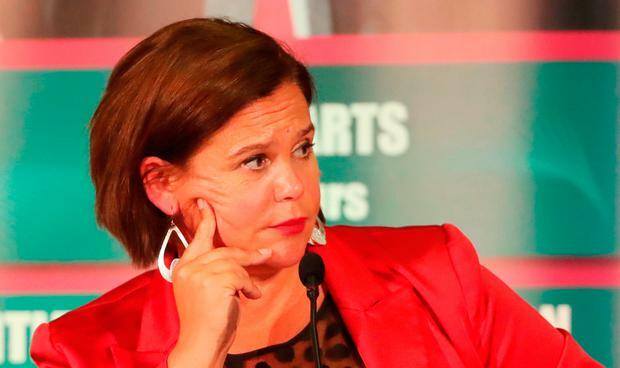 He said Sinn Féin did not “put their shoulder to the wheel” during the Brexit referendum and it was now time for Mary Lou McDonald to put “country before party”.